Ömer Faruk Gergerlioğlu, one of Turkey’s most renowned human rights activists and former president of the Association of Human Rights and Solidarity for Oppressed Peoples (Mazlumder), has been handed down a prison sentence of two-and-a-half years on charges of disseminating terrorist propaganda. The verdict was decided by the Kocaeli 2nd High Criminal Court on Wednesday where Gergerlioğlu was standing trial on charges of involvement in terrorist propaganda. Gergerlioğlu was tried because of his messages on social media that called for the end of years-long clashes between the Turkish military and the outlawed Kurdistan Workers’ Party (PKK). The court ruled that Gergerlioğlu’s messages on social media were tantamount to praising the activities of the PKK and the Kurdistan Communities Union (KCK), an umbrella organization that encompasses the PKK. In a message posted to his personal blog on Wednesday, Gergerlioğlu commented on the court ruling and said throughout his life he has defended human rights, rejected conflict, supported dialogue and reconciliation and defended everyone’s right without discrimination. “At a time when the law has been shelved, I do not accept this very unjust ruling, and I leave it to the conscience of the nation. I will continue my struggle so that [people of] all identities and views can enjoy human rights and a free life,” he wrote. Gergerlioğlu also said that at a time when unbelievable acts of tyranny are taking place in the country, he would not lose his hope about the end of this period and continue his efforts to maintain the rule of law. Gross human rights violations have been taking place in Turkey since a failed coup attempt in July 2016 as the Turkish government has launched a massive witch-hunt to punish its critics under the pretext of an anti-coup fight. 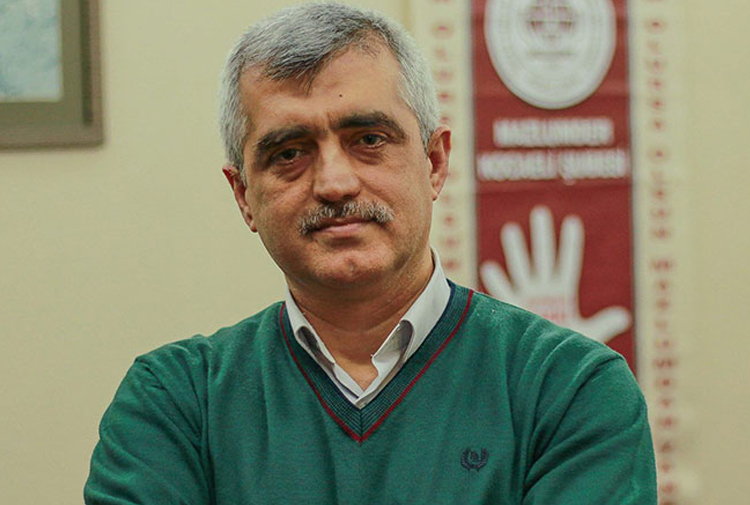 Gergerlioğlu has been a vocal critic of the government’s ongoing crackdown on regular citizens. He frequently brings rights violations experienced by the government’s victims to public attention. Gergerlioğlu, who is a doctor by profession, was also fired from his job at a public hospital by a government decree in January 2017.